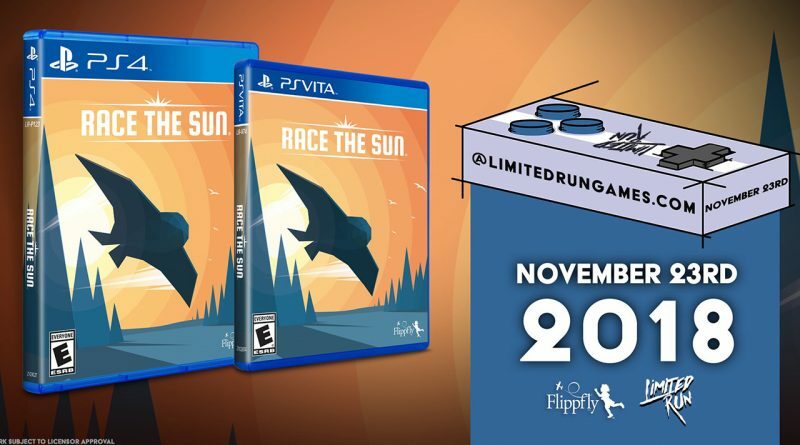 Limited Run Games has announced that a physical version of Race the Sun for PS Vita and PS4 will be available for pre-order on November 23, 2018 at 10am ET via Limited Run Games. You are a solar-powered craft. The sun is your death timer. Hurtle towards the sunset at breakneck speed in a futile race against time. Delay the inevitable by catching speed boosts which reverse the setting sun – if only for a moment. Race the Sun is inspired by arcade games of the past with a focus on high scores, short game sessions, and pure fun mingled with nerve-wracking tension. The rules are simple: don’t crash, stay in the light, and don’t slow down!